Mary Watson’s The Wren Hunt is sort of a tough nut to crack. Once a year, Wren is chased through the woods near her rural Ireland hometown in a warped version of a childhood game. Her pursuers belong to the judges, a group in control of an ancient, powerful magic they stole from her own people, the augurs . . . but they know nothing of her real identity. If they learned the truth, the game would surely turn deadly. Though she knows the risks, Wren also goes on the hunt, taking a dangerous undercover assignment as an intern at enemy headquarters, the Harkness Foundation. If she can uncover a long-buried secret, she can save her family and end the judges’ reign once and for all. I don’t know what I was expecting going into The Wren Hunt, but it certainly wasn’t what I thought. I did struggle at first to feel comfortable with Watson’s writing style and the overall story, but as I pushed further, I felt myself slipping into a compelling read. I do think some of that initial uncertainty came from an unknown setting and a sometimes-confusing backstory. 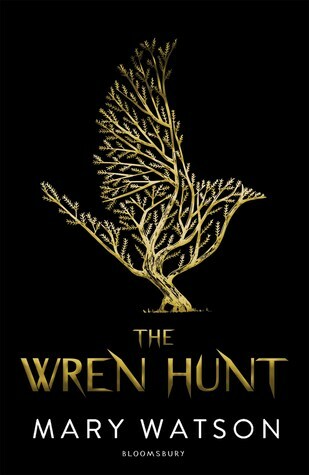 The Wren Hunt isn’t a particularly easy read — Wren’s narration is at times chaotic, and a rudimentary explanation of the world she lives in can be cumbersome. Despite that, the book is compelling and will be a worthwhile read for those who like piecing things together.